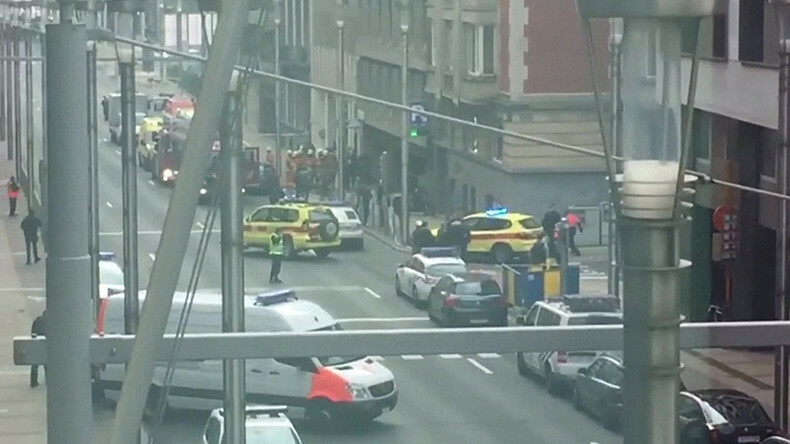 The West has brought terrorists attacks on their own people by supporting for decades Islamist terrorists trying to achieve geostrategic objectives, said the editor of Politics First Marcus Papadopoulos, commenting on the Brussels blasts. “The roots of these terrorist attacks are Western foreign policy. For the last 30 years or so America in particular, but also Britain and France have been working with Islamist terrorists to try and achieve geostrategic objectives. And this is what happens when you get into bed with repugnant dangerous extremist people – it comes back to haunt you,” he told RT. “In Afghanistan in the 1980’s the Americans and the British were supporting the Mujahedeen including Osama bin Laden against the Russians; in the 1990’s during the Bosnian civil war the Americans facilitated the arrival of Mujahedeen fighters into Bosnia to fight the Serbs, because the Serbs were fighting the Islamists, the Americans were anti-Serb. But the Americans brought the Mujahedeen fighters into Europe. The Americans then invaded Iraq and they turned Iraq into a hotbed of Islamic fundamentalism,” he said. “Britain and France intervened in Libya and turned that into a failed state. Now it is ruled by various Islamist groups including ISIS. America, Britain and France, and their regional allies - Turkey, Saudi Arabia, and Qatar - have been supporting Islamist groups in Syria to try and overthrow the Syrian government… We have to analyze Western foreign policy, and by doing so, we will see that the West has brought these terrorist attacks on their very own people,” Papadopoulos added. French President Francois Hollande said Tuesday “the world is facing a global threat, which requires a global response.” Papadopoulos agrees with the statement. “Of course it is, but there is more than meets the eye to this. For example, the Syrian people on a daily basis are victims of terrorist attacks. Those terrorists, who are carrying out those attacks against Syrian people up and down the country on a daily basis have been backed by America, Britain, France, Turkey, Saudi Arabia, and Qatar,” he told RT. “The French President is right there is a global threat from terrorism,” Papadopoulos said. Yet, he argues, France has played an important role in bringing this terrorist threat to the streets of, for example, Paris. “The threat from Islamism terrorism would be nowhere near as powerful as it is today without the support they receive from the West. And the West uses them trying to achieve geostrategic objectives,” Papadopoulos continued. Papadopoulos suggests in the immediate term Europe has to have borders again. 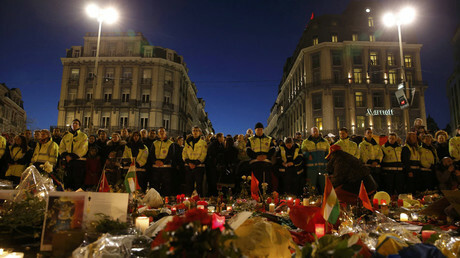 “Schengen has failed and it is finished. But if we want to tackle the reasons for the terrorist threat in the long-term, and we must always think of the long-term. We have got to see an end to Western foreign policy, in which it uses Islamist fighters to trying to achieve geostrategic objectives,” he said. 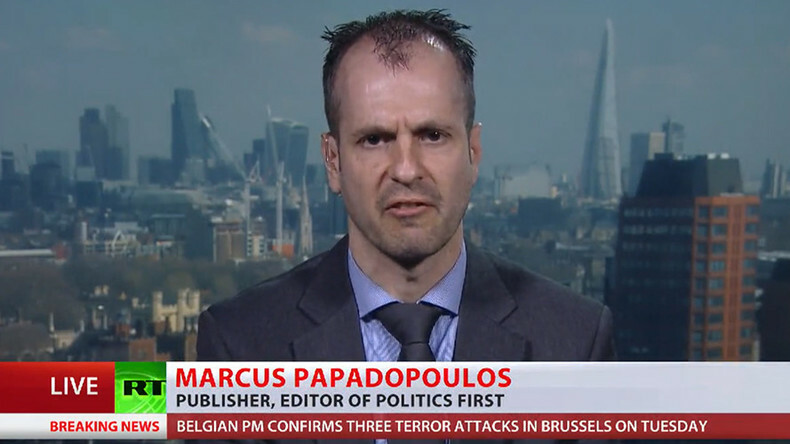 According to Papadopoulos, Syria at the moment is the principle root for Islamist terrorism. “In order to reduce the threat Europe is facing from Islamist terrorism, the West and its regional allies – Turkey, Saudi Arabia and Qatar must - end all forms of support to all militant groups in Syria,” he said. But the picture is bigger here as Ankara is “a puppet of the West,” the analyst said. “America has given the green light to Turkey to destabilize Syria, to use Islamist terrorists, jihadists to try and destroy the Syrian government,” Papadopoulos told RT. What the West and its regional allies are trying to achieve in Syria is the overthrow of the Syrian government, and by doing that, “they would end Russian power and influence in the Middle East, and Iranian power and influence in the Middle East,” he said. “It is the game of chess in the West and its regional allies are playing. However, it is ordinary people, who are suffering,” Papadopoulos concluded.